Pack your basket…we’ve picked out the perfect places for you to picnic in the award-winning Brunswick Forest!! There’s a spot for every style of picnic imaginable! If you’re looking for a lazy day of reading with just your book, your picnic blanket and a bottle of wine, head to Walden Park. You will find a lush grassy landscape with perfectly placed benches under shaded trees just welcoming you and your next great read! Want a romantic picnic for two?! 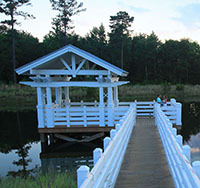 The gazebo at the Community Commons beckons. Here, you have a water view and a great place to watch the sunset! 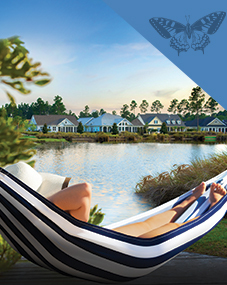 Enjoy a picnic by Hammock Lake in Shelmore morning, noon or night! This setting offers the perfect back drop for a morning coffee and scone…for sandwiches at lunch…or for evening cocktails! 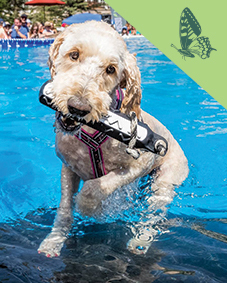 If you want to bring Fido along for the picnic, your best bet is to head to Meadow Park. There you will find a shaded gazebo where you can lunch while Fido plays just across the way at the dog park! Want to picnic with the whole family and maybe even some friends?! Annsdale Park is the perfect option. Here, you will find an expansive park with room to spread out, toss the football around or even play bocce ball! The parks of Brunswick Forest are just waiting for your picnic! Even better, all the parks can be reached through the network of conveniently located walking, biking and nature trails! Need to stock your basket?! Head to Lowes Foods in The Villages at Brunswick Forest. They will have everything you need for the perfect picnic!